It's Monday and the first day of summer! Where did the weekend go and why are the days going by so fast! Today I have a fun and bright polish to share with you from the Sally Hansen I ♥ Nail Art line. This polish is perfect for the current weather her in Toronto and would be nice for a pedicure. Let's take a look at the polish! 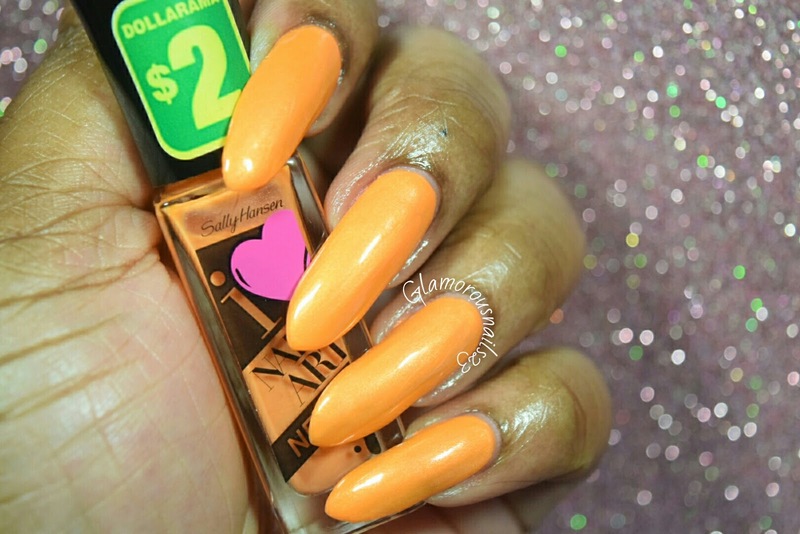 For Sher-Bert is an orange creme polish that has a subtle shimmer to it. The first coat was a little bit sheer but it did build nicely. 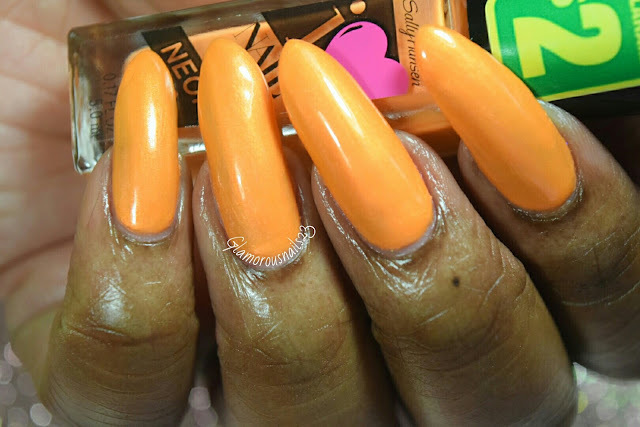 As with a lot of neon's this one did dry matte but that's nothing that some top coat can't fix! The formula was smooth and just "okay" for me. This polish has a wide brush which did help with the application process. Isn't this color pretty? Shown in the pictures is three thin coats with a top coat. I really like how slim and sleek this bottle is. Isn't the pink heart just adorable? The Sally Hansen I ♥ Nail Art line can be found at your local Shoppers Drug Mart, Wal-Mart, and randomly at Dollarama if you live in Canada lol. This line isn't as big as the Xtreme Wear Line or the Insta-Dry line but they do have a few polishes as well as nail art tools in this line. The Sally Hansen I ♥ Nail Art polishes can be purchased for about $4.00. Have you ever tried any polishes or any of the nail art tools from this line? What are your thoughts on this polish? Let's chat! 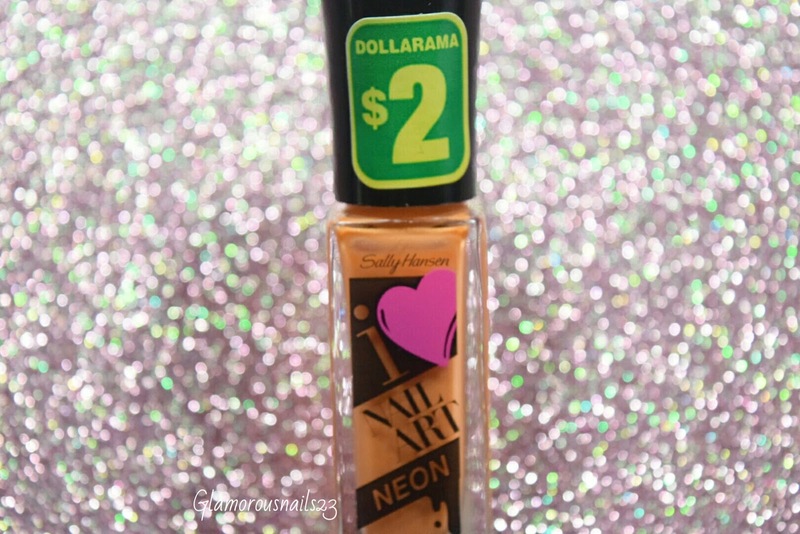 i haven't seen till now, bottle like this of Sally Hansen , lovely ! this shade is quite good for summer ! Yes this bottle is very lovely! For Sher-Bert is a pretty color. I'm thinking about using it for a pedicure later.